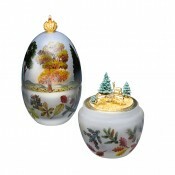 The hand painted forest of English trees in an array of autumn shades adorn the lead crystal Egg. Looking through the mist, and on opening the Egg, the scene is set with the vermeil stags rutting, whilst the doe watches from the safety of the trees, all crafted in sterling silver. 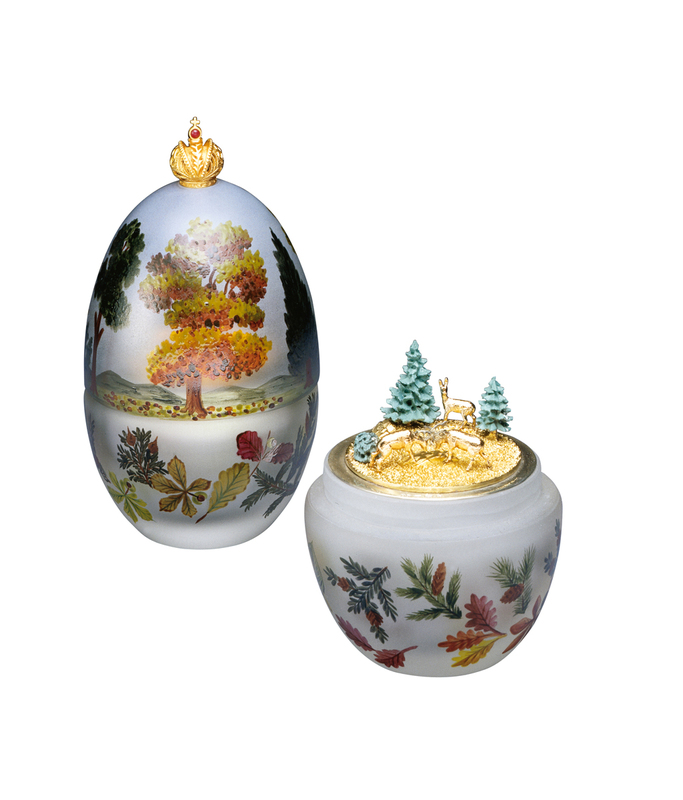 The Egg is offset with the Imperial Russian Crown in vermeil, set with a cabochon ruby, and completes the Seasons series.